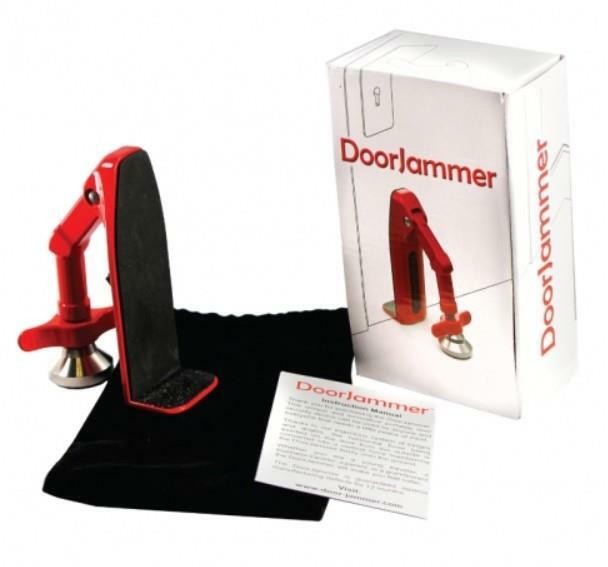 The Door Jammer is a brand-new innovative device to block entry through most any type door. 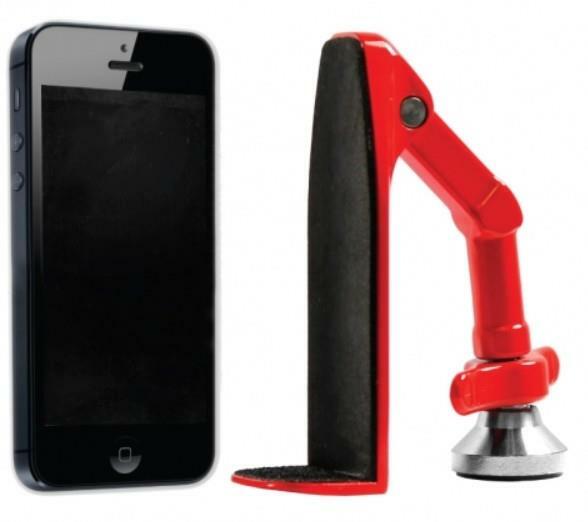 The portable design makes it perfect for anybody requiring personal privacy and safety. Great for use at home or take it with you on a trip or to work. The Door Jammer is an easy solution for avoiding undesirable invasions into any room and you'll be amazed at how well it works. Design: With the angles and hinges, the horizontal force being applied on the door from the exterior is changed into a vertical force to anchor the Door Jammer securely into the ground. 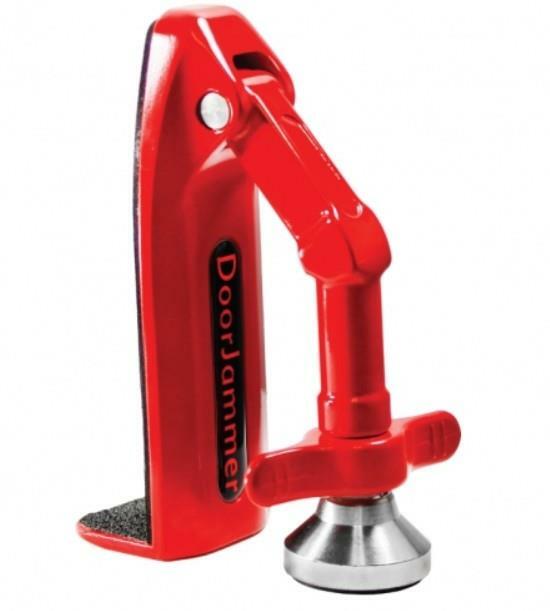 Forces the door upwardly, enhancing the Door Jammer's grip and lowering the possibilities of its rubberized foot slipping on the floor. Functions with most Doors: Adjustable foot, located at the end of the hinged leg, permits the Door Jammer to be set up on any kind of floor: sloped or flat. Adjustable Footpad permits the Door Jammer to be set up on any kind of surface area: hardwood floor, carpeting, tiles, linoleum, and so on. 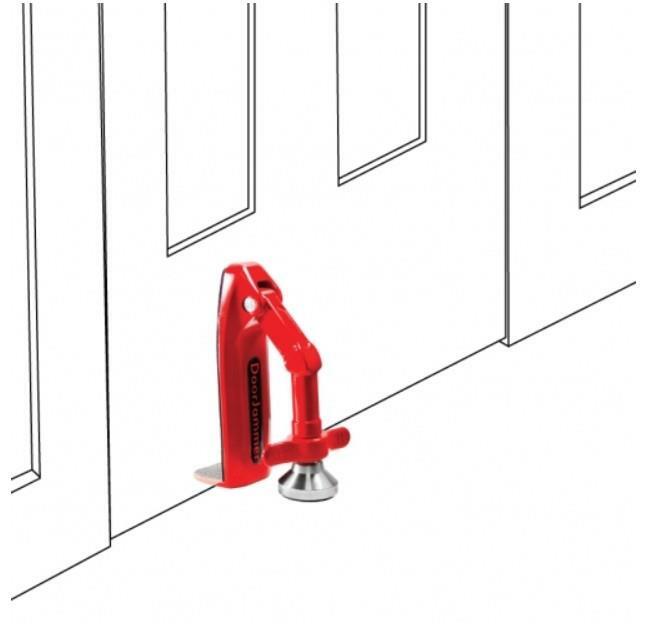 Easy Removal: In case of emergency, the Door Jammer can be quickly removed; Simple pull the the DoorJammer upward and it will unlock from its secured position without any effort. Dimensions: The Door Jammer is 4-3/4" high and 2-3/4" wide making it easy to fit inside your handbag, backpack, or travel case.